Fianna Fáil is planning to organise in the North, contest elections, and may even stand candidates for local councils the following summer. But news of the development comes amid growing fury inside the party at efforts by Taoiseach Leo Varadkar to get a guaranteed two-year extension to the arrangement which underpins the Fine Gael-led minority coalition. That would postpone a general election – seen as inevitable by next spring at latest – until summer 2020. 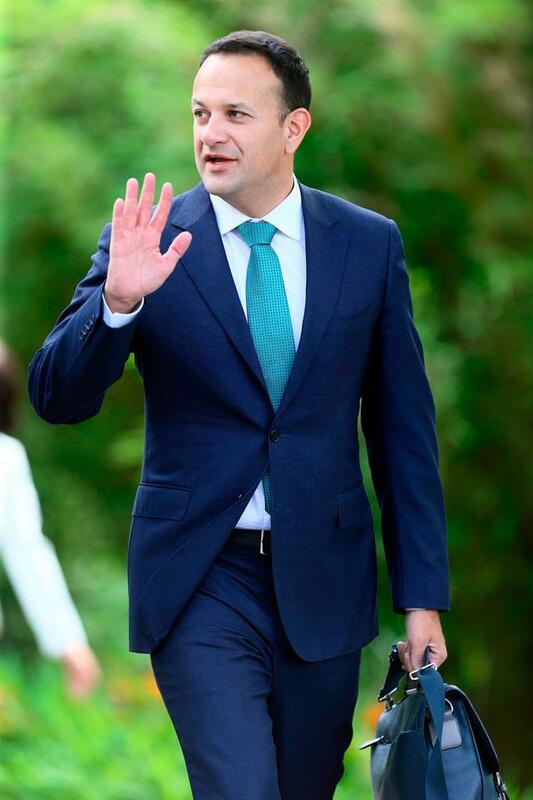 Mr Varadkar made his demand to Fianna Fáil leader Micheál Martin during talks about the confidence and supply deal last Thursday, when he cited the need for political stability as Brexit talks enter a crucial phase. Many leading figures in Fianna Fáil allege Fine Gael later leaked the demand as part of a stratagem to justify an early general election as it continues to lead in opinion polls and its rivals now appear ill-prepared. On developments in the North, Mr Martin has told the national executive that preparations are at an advanced stage and an announcement is expected in September. Talks on some kind of linkage with the SDLP are continuing and it is unclear whether this would involve a merger, partnership or arm’s length cooperation. The party’s youth wing, Ógra Fianna Fáil, has been pushing on organising north of the Border and at a meeting of the national executive 12 days ago it sought a full report on the issue. Mr Martin told the executive talks with the SDLP were continuing and progress was being made. “Mr Martin said he hoped an announcement on the issue can be made in September,” one senior party source told the Irish Independent. There is widespread support in the FF parliamentary party for organising north of the Border. The SDLP has been eclipsed by Sinn Féin, is struggling to maintain direct links with voters in some parts of the North, and has had no seats in the Westminster parliament since the May 2017 election. “But, it has 12 MLAs in the Northern Assembly and a big number of councillors across the North. “For all the problems and disadvantages, the SDLP still has a residual organisation,” the Fianna Fáil source said. Three Fianna Fáil TDs said they supported the idea and that there was widespread support among other TDs and senators. But there is fury and disarray about the Taoiseach’s move, which was made public over the weekend. Several Fianna Fáil TDs castigated Mr Varadkar for breaching the content of a private discussion with the leader of the Opposition. Transport spokesman Robert Troy said the Taoiseach could not be trusted and was more interested in furthering his party interests than building national stability around Brexit. Finance spokesman Michael McGrath insisted there would be no discussion on extending the deal until after the Budget in October. “More games from the Taoiseach. So much for a private discussion leader to leader. Can’t help himself with the constant leaking and spinning,” Mr McGrath said on Twitter. Another opinion poll showed Fianna Fáil trailing Fine Gael by 13 points and in third place, fractionally behind Sinn Féin. The Behaviour & Attitudes poll for the ‘The Sunday Times’ put Fine Gael on 34pc to Fianna Fáil’s 21pc, with Sinn Féin on 22pc. Fine Gael’s continued high poll ratings has increased an appetite for an early general election within the party. Fianna Fáil has trailed its rivals for a year and wants to wait longer for an election – but is adamant Mr Varadkar should not get what is viewed as a two-year ‘blank cheque’ for Fine Gael in government. Martin O’Donoghue, a former Fianna Fáil TD, senator and government minister, has died aged 85. Independent.ie Newsdesk More than 170 politicians from across the spectrum, both here and in the UK, have called on the British Government to reform Northern Ireland’s abortion laws.